How Do Lasers Improve Oral Health? Lasers can be used in many different types of dental procedures in Stuart designed to improve oral health. Lasers help to eliminate infection and disease-causing bacteria within soft tissue, assist in filling preparation for tooth restoration, and perform surgeries involving bone tissue. Because dental laser applications are so site specific, surrounding healthy tissues are not subjected to secondary trauma during treatment. What Types of Procedures Can It Perform? Laser therapy is typically not painful since it does not require friction or vibration in order to operate. It also reduces the need for dental anesthesia in a number of procedures. Because treatment with lasers is less invasive than traditional methods, post-operative recovery is more comfortable for the patient in Stuart and occurs more quickly. Are These Procedures Safe for Everyone? Laser procedures, many of which have been approved by the American Dental Association, are often beneficial for those who may not be candidates for traditional treatments. For instance, very little bleeding and inflammation occur during laser treatment, making these procedures ideal for those with bleeding disorders or taking blood thinners. Dental services utilizing laser technology can be performed on people of all ages, from pediatric to geriatric patients. 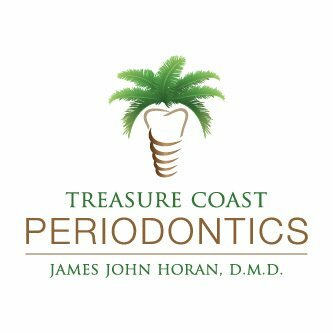 At 772 Implant, we are a leader in periodontal and implant dentistry proudly serving Stuart and the surrounding area. We provide innovative laser gum therapy and other advanced oral care solutions. For answers to more of your laser therapy questions, contact our office today.